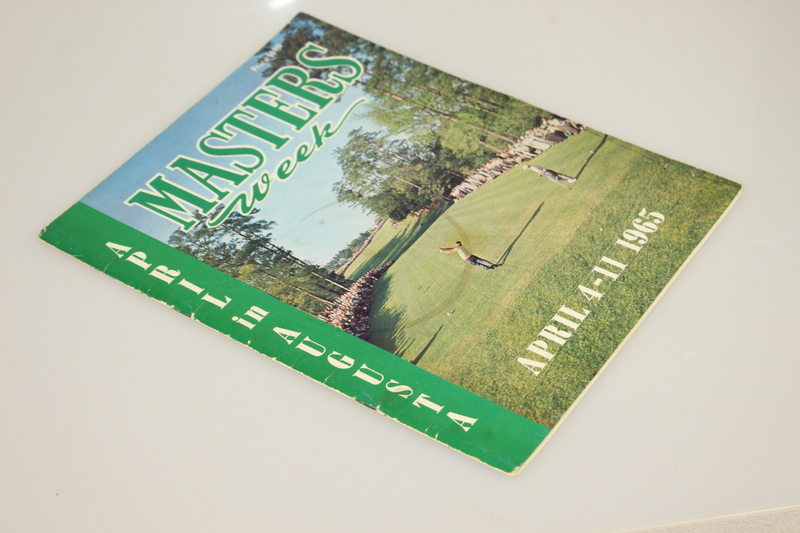 A yearly publication which still is produced today features a preview of players and events to come at the Masters Tournament. In 1965, the buzz pre-tournament was the up coming battle between Jack Nicklaus (Champ in 1963) and Arnold Palmer (Champ in 1962 & 1964) for the 1965 Green Jacket. 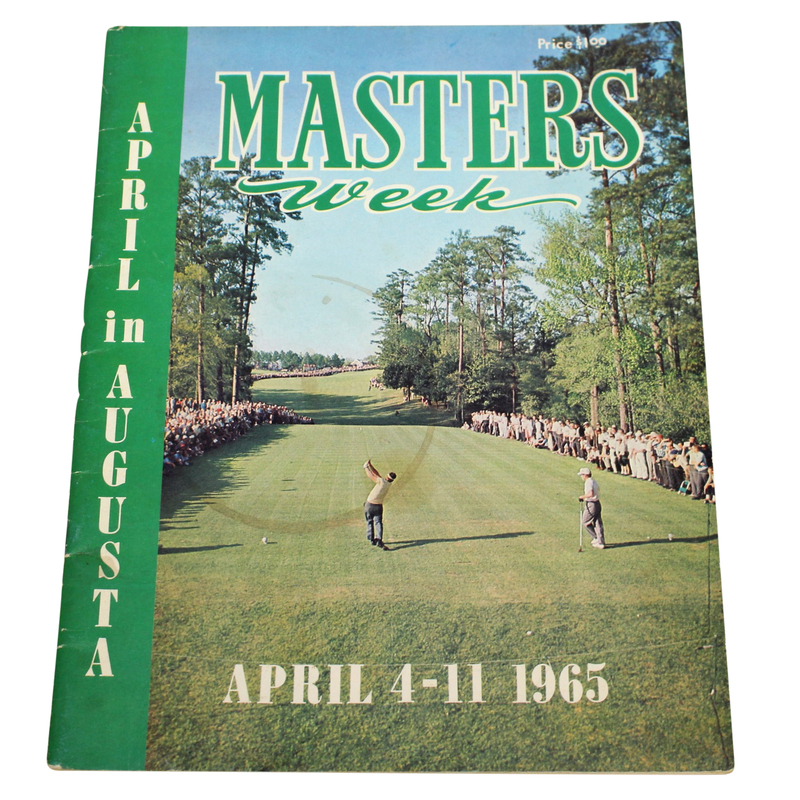 Turns out it would be the second Masters title for the Golden Bar in 1965. 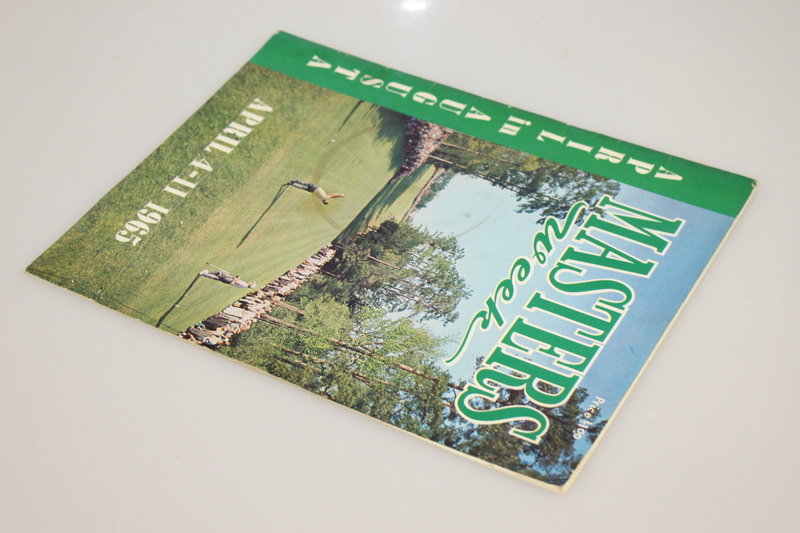 This insightful magazine was often taken to the course as a biographical background on players competing in the Masters. 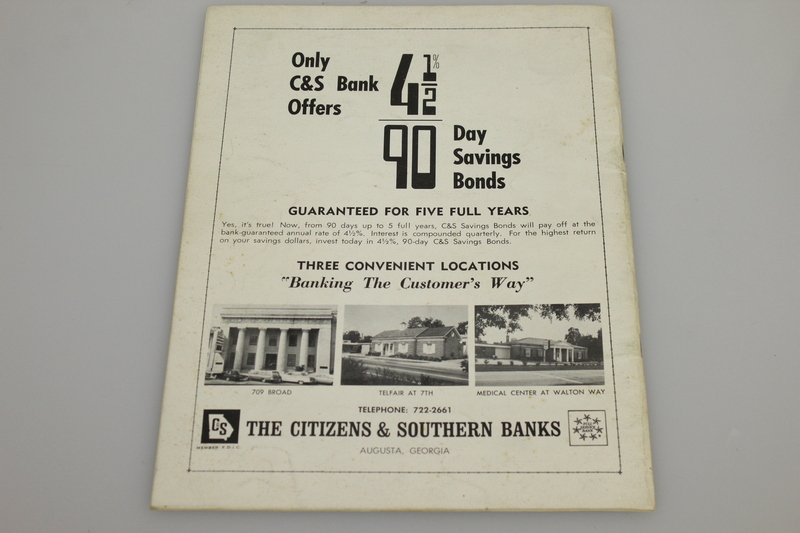 The magazine is in original condition. Signs of aging are evident on the back cover and a there is a light stain on the front. 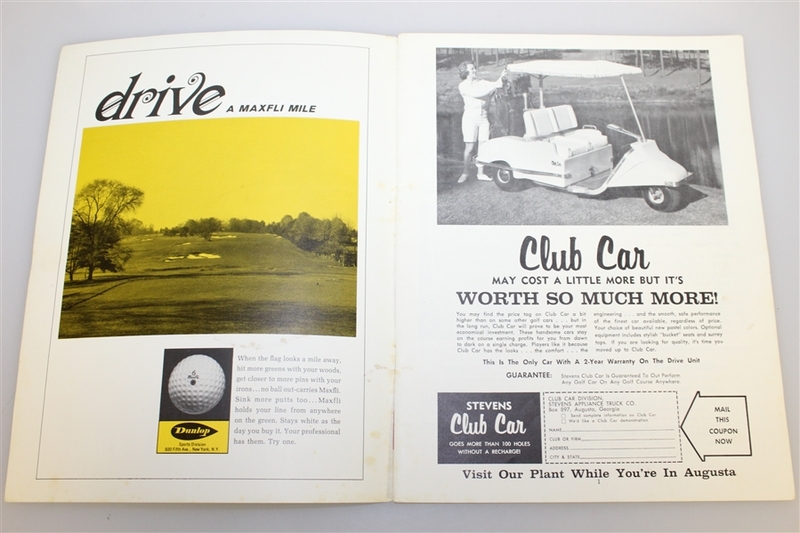 See photos for reference.